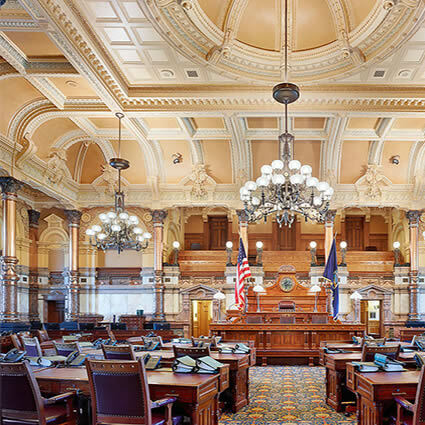 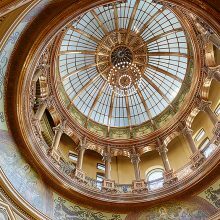 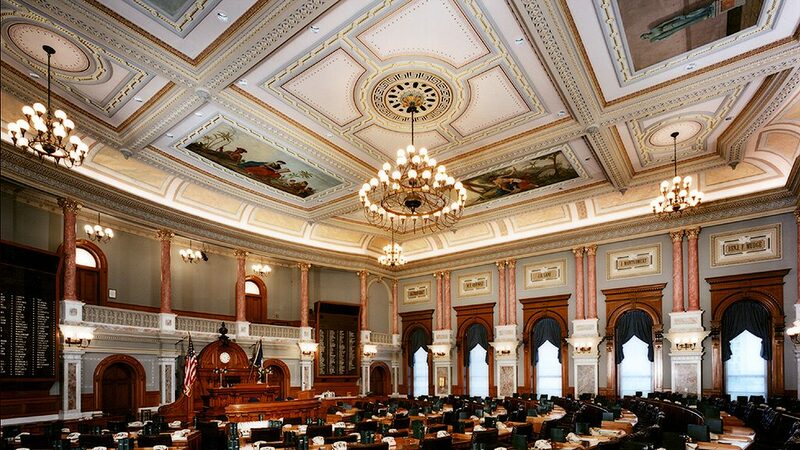 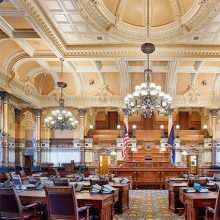 The Kansas State Capitol was originally designed and built over a period of almost four decades and completed in 1903. 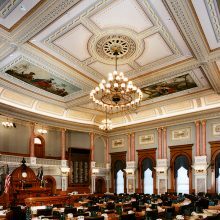 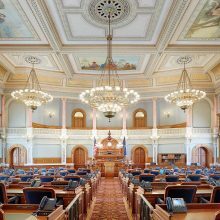 The $322M renovation of the capitol, including extensive mechanical systems and finishes upgrades, began in 2000 and was completed in 2013. 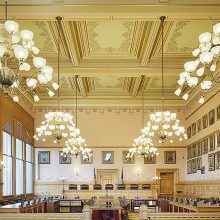 Over the past decade, EverGreene has completed several restoration campaigns at the Capitol building, and has participated in every aspect of the phased restoration. 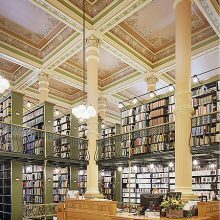 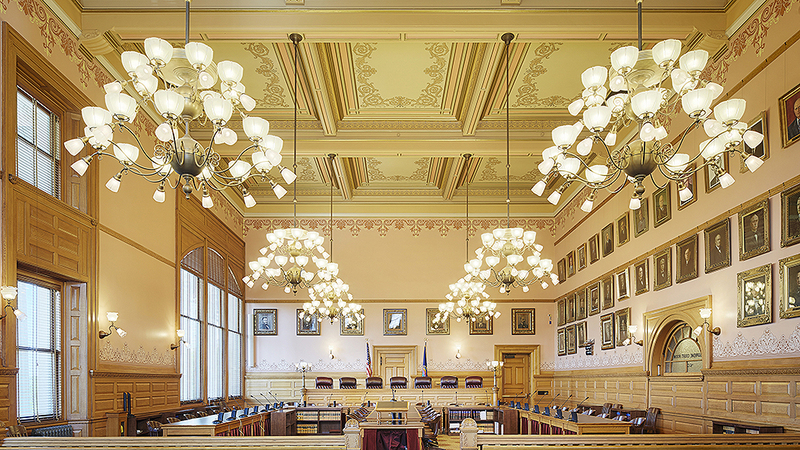 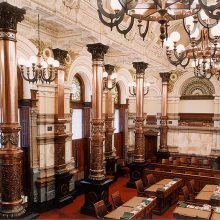 EverGreene’s team developed treatment strategies for the restoration of polychromatic painted finishes on cast-iron columns and pilasters in the Senate Chamber, provided a paint study, decorative painting scheme, mural conservation, and scagliola restoration. 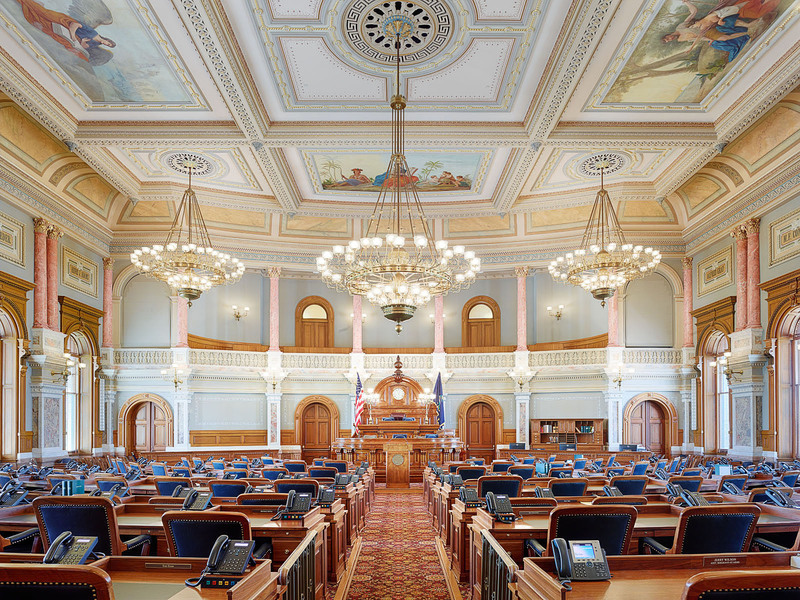 Subsequent campaigns included a paint study and decorative paint restoration of the Senate and House, plaster restoration in the House Chamber, and the re-creation of lost decorative ornament in the library. 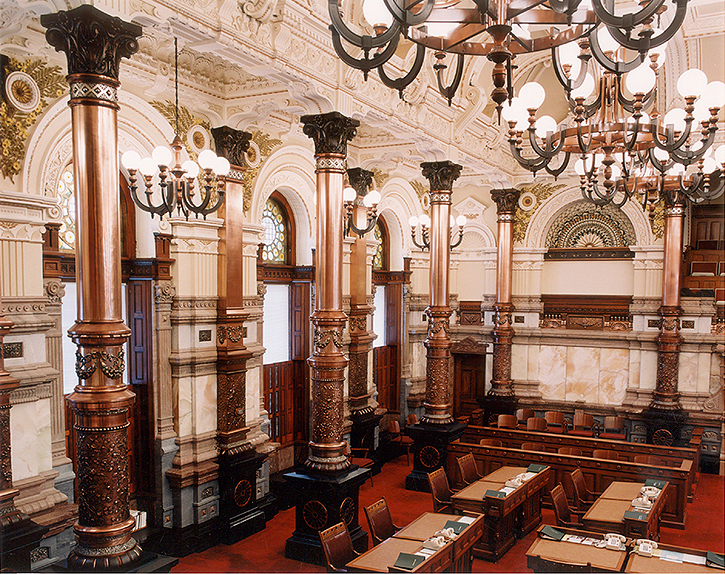 Unique to the Senate Chamber was restoring polychromed cast iron columns and other architectural elements. 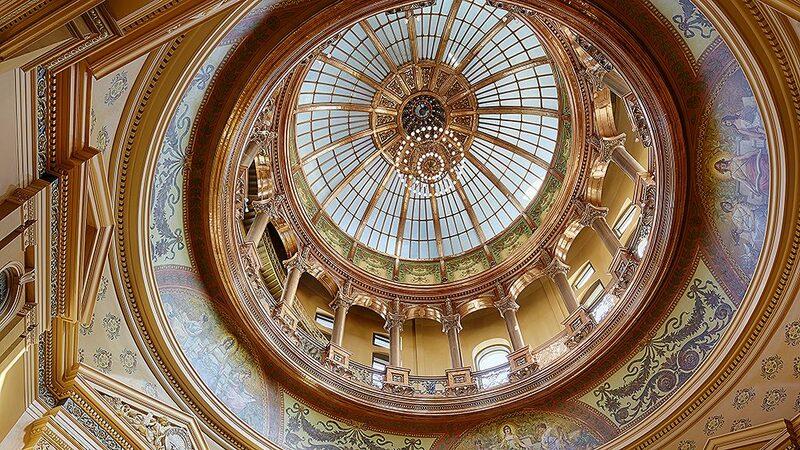 Work included removing the deteriorated clear-coat, collaborating with a subcontractor to implement in-situ copper and silver electroplating, restoring the polychromed finish and sealer, and finally hand-polishing the metal. 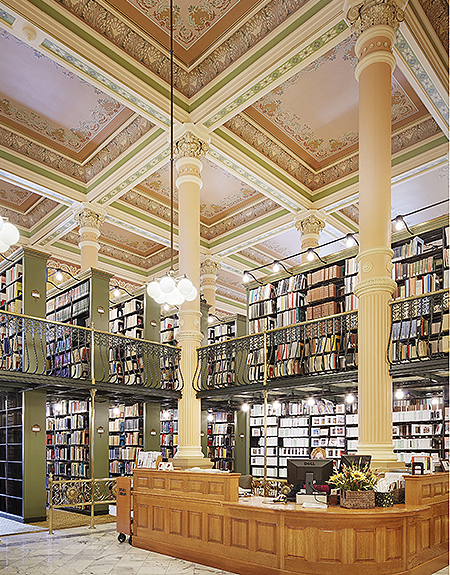 The Mural Room reopened to the public in June 2015.